Matt has played guitar for 18 years and now plays a variety of other instruments - harmonica, violin, mandolin, charango, phin, melodica, piano and accordion to name a few. He is a collector of obscure instruments and likes to find ones on his travels. Matt writes a lot of music and this led to the opportunity to play solo on four continents, he currently plays in 3 groups ( The Commitment Brothers, acoustic duo Identity Crisis and rock band the ASBO Ducks ) and as session musician for a variety of acts including top soprano Helen Winter. 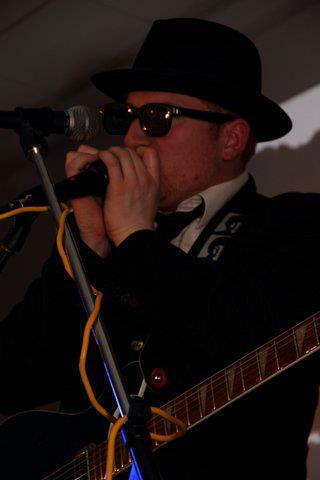 Matt is very eclectic in his music tastes and enjoys a wide variety from Classical to Soul, Rock to Folk, his particular love of the blues has led him to amass a large quantity of very early recordings made by Lomax. Matt / Tango also enjoys the complexity of the songs in the Commitment Brothers playlist and loves getting to do some dance moves in the act. Having become a full time water gypsy by buying a canal boat to live on and being so busy with different musical venture, Matt wonders how he finds time to do anything else at all. Indeed it is possible he could be a pair of twins pretending to be one person, as he was once mistaken for both of the Proclaimers.